The Rocky Mountain Harvard University Club welcomes newcomers to Denver and all young alumni for a social in Denver's Uptown neighborhood on Tuesday, October 18th from 6 to 8 PM. Come and meet fellow young alumni! Appetizers are provided by the club, drinks are available for purchase, and there is a ping pong tournament at 6:30 if you care to play. There will also be a short group introduction and business card exchange at 6:30. 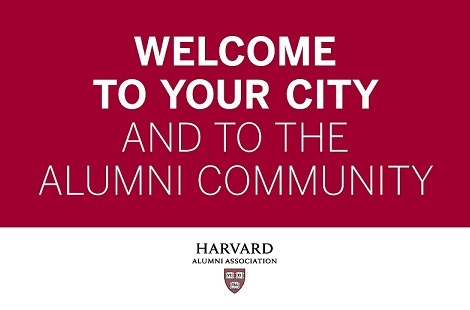 Welcome to Your City events, offered in local establishments in dozens of cities around the world, provide fun and informal opportunities for recent Harvard alumni to meet and connect with each other while welcoming the youngest class of alumni to their new cities. RSVPs are open through Harvard Alumni Association. Young alumni should have received an email with a link to register, or you can go to https://haa.proximate.com/welcome-to-your-city-denver-2016 to register. Please RSVP through the HAA link-- there is no registration through the RMHUC event. If you have questions, please contact Lia Baggao at lia.baggao@ml.com or 720-941-2057.